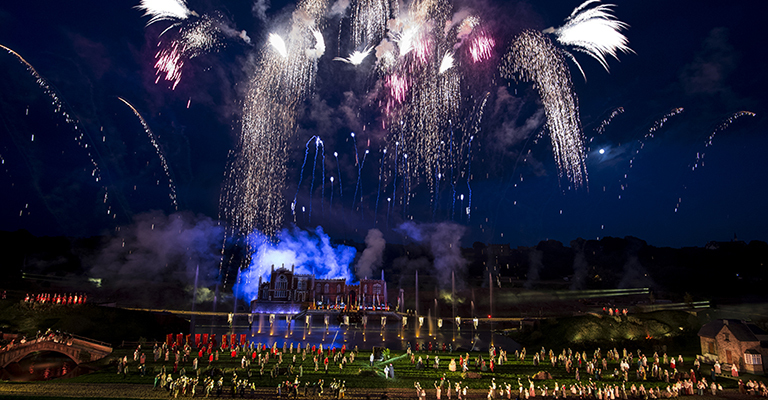 Kynren is a spectacular open-air live action night show which takes inspiration from, and many of the team behind, France’s world-famous Puy de Fou – specifically its volunteer led light show Cinéscénie. Opening with the stirring words of John of Gaunt from Shakespeare‘s Richard II: “This blessed plot, this earth, this realm, this England…”, the spellbinding production that followed delivered a stunning and often poignant celebration of British history. Over the course of an hour and a half we journeyed through the dreamscape of a football mad young boy from Bishop Auckland named Arthur, after he accepts the Bishop of Durham’s offer to take him on a trip through 2000 years of British history, encouraging him to let his mind wander further than his fixation on following in the footsteps of his hero Stanley Matthews. After drawing Excalibur from the stone and thereby taking the throne as King of England, we follow Arthur on a whistle stop tour of our country’s past… From life under Roman rule, the invasions of the Vikings and Normans, the journey of the relics of St Cuthbert, the writing of the Lindisfarne Gospels, the battles of Stamford Bridge and Hastings, the Durham Miners’ Gala, the outbreak of World War I and II, and the Miners’ Strikes, before culminating in a grand finale of the celebration of the Diamond Jubilee. The vast landscaped stage with a full sized lake at its centre is a constantly evolving canvas onto which the story of Kynren is painted by its cast of hundreds of impeccably choreographed volunteers, plus some impressively well drilled animals – including galloping horses, herds of cattle, sheep, and goats. Even a gaggle of geese waddled along in unison! Not a foot (webbed or otherwise) or hoof was put wrong over the course of the entire evening. From the vantage point of the 8000 capacity stand known as the Tribune, the audience were treated to a feast for the eyes and ears. As dusk turned to dark, flaming arrows cut through the night’s sky, horses whinnied, and steel swords rang out as they clashed against shields. 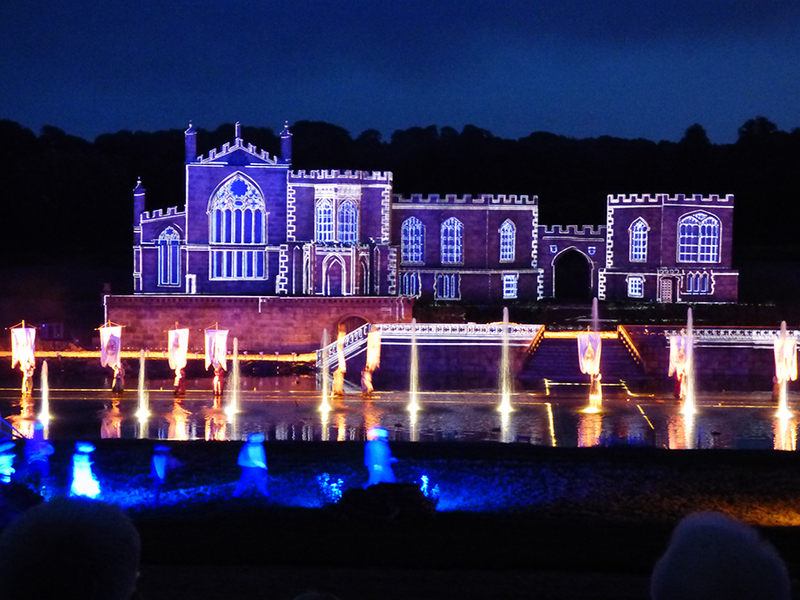 Despite being at the mercy of the elements, and no doubt the weather will not be quite so perfect throughout the run of shows, there’s something about an open air performance which gives it an added sense of realism, like you’re part of the story, especially in such a grand setting as that which Kynren sits in. We looked on in awe as longboats rose from the water, a castle grew from a hilltop, performers appeared to walk on water and even a replica of George Stephenson’s Locomotion No 1 rumbled past. The use of light was particularly nuanced throughout as stunning projections were cleverly cast onto screens made from jets of water and the aforementioned castle. 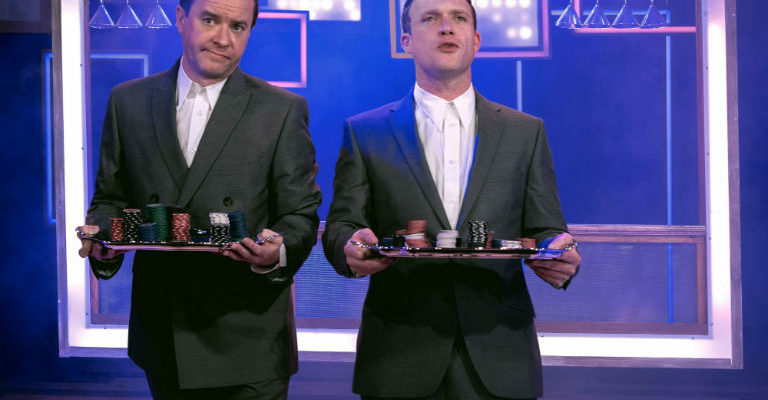 The score which backed the performance was equally brilliant, as it flowed between rolling drums, heavenly choirs, bouncing brass bands, and the trill of bagpipes as the scene required. Whilst most of the shows highlights lie in its grand set pieces, it was some of the quieter moments that proved most impactful. Particularly poignant was the reading of a letter home by Arthur from the battlefield of Ypres during World War I, as he described the horrors of life in the trenches, contrasted by a beautiful rendition of Silent Night as he wrote of the Christmas Day truce as British and German soldiers temporarily downed their weapons to celebrate Christmas together in no mans land. Equally memorable was Churchill’s “Never was so much owed by so many to so few” speech as it played over the PA system whilst he was projected onto the castle wall. In such a volatile current political landscape, perhaps Kynren is an opportunity take stock of the past, reminisce the good times but not forget lessons from the darker days of years gone by. Despite having such material to draw upon, history can be really dull. For many it takes the mind back to school – trudging through bland textbooks, essays and exams, or is hidden behind glass cabinets in a museum. This was far more engaging and inspiring. For an hour and a half history came alive. 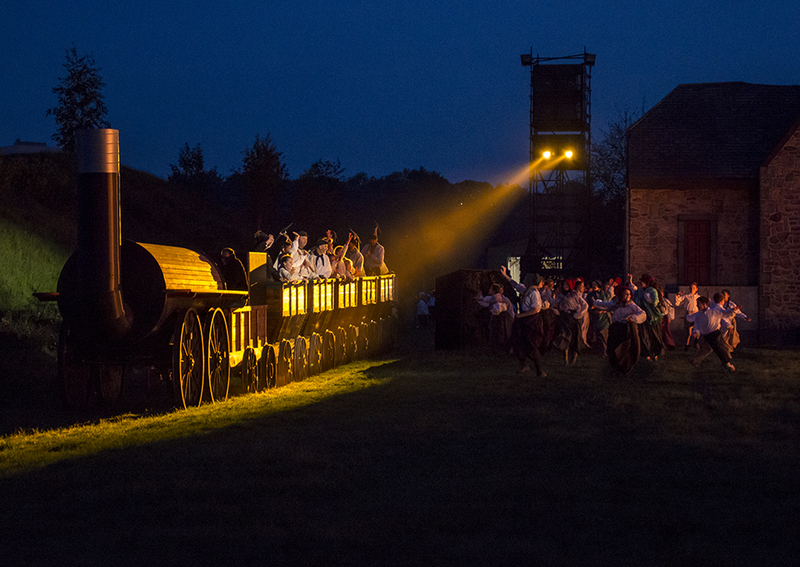 Whilst Nicolas de Villiers, artistic director of Kynren and president of Puy du Fou, said that Kynren “not a history lesson, but written like a novel” it made me want to find out more about some of the events told in Kynren and no doubt will inspire both young and old to do likewise. Speaking prior to the show, Jonathan Ruffier, Chairman of Eleven Arches, the organisation behind Kynren, and Founding Patron, spoke of his desire to put Bishop Auckland on the map. Bishop Auckland may seem like a bit of a strange choice of a venue to invest £30+ million into such a show, but it makes perfect sense – In the land of the Prince Bishops, within 40 miles lies the northernmost point of Roman invasion in Hadrian’s Wall, amid such stunning scenery and a stones throw away from heritage sites such as Durham Cathedral and Lindisfarne. 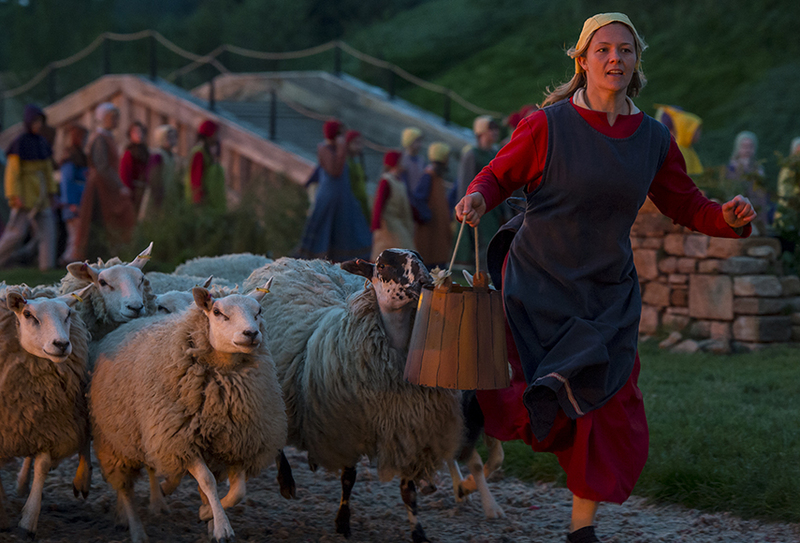 Kynren is a story rooted in the North east, but one that tells a tale of the nation and rightfully will draw people from all around the country, and world – Eleven Arches CEO Anne-Isabelle Daulon spoke prior to the show of ticket sales as far and wide as New Zealand, China and Oman. This is an event of global interest in reach, and the perfect opportunity to showcase the region and the county it sits within. It has already been listed by Rough Guides as one of the world’s top 10 must-see tourist attractions to experience in 2016 and is a production the north east can be proud of, adding yet another string to its cultural bow. Whereas the recently canned TV production of Beowulf set in County Durham lacked any heart and soul, this has it in spades, and no doubt will be a huge success story for the region for years to come. In the run up to the show, a number of figures were listed by Eleven Arches in an attempt to contextualise the sheer scale of the production – a stage the size of seven football pitches, a cast of 1000 volunteers, a 90,000 gallon lake. But to really appreciate Kynren in all its glory you must buy a ticket, wrap up warm, take a seat in the Tribune, and experience this epic tale of England with your own eyes. 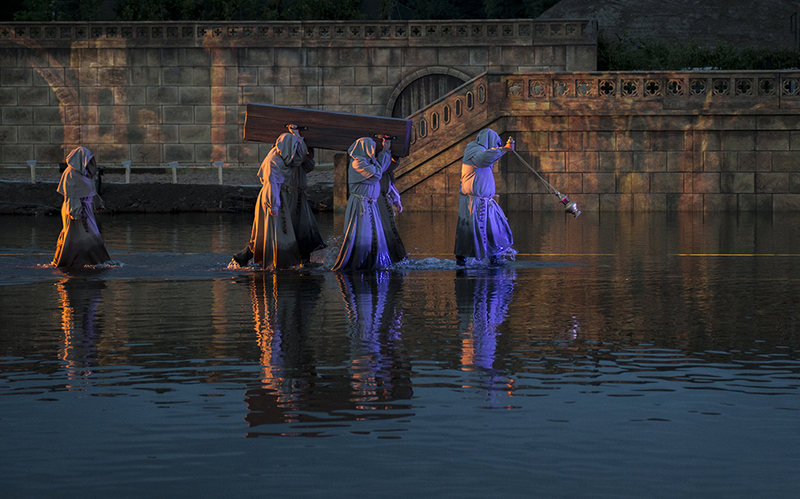 Kynren opens to the public on Saturday 2 July, and runs on a series of Fridays and Saturdays throughout the Summer. Tickets can be purchased from the Eleven Arches website.